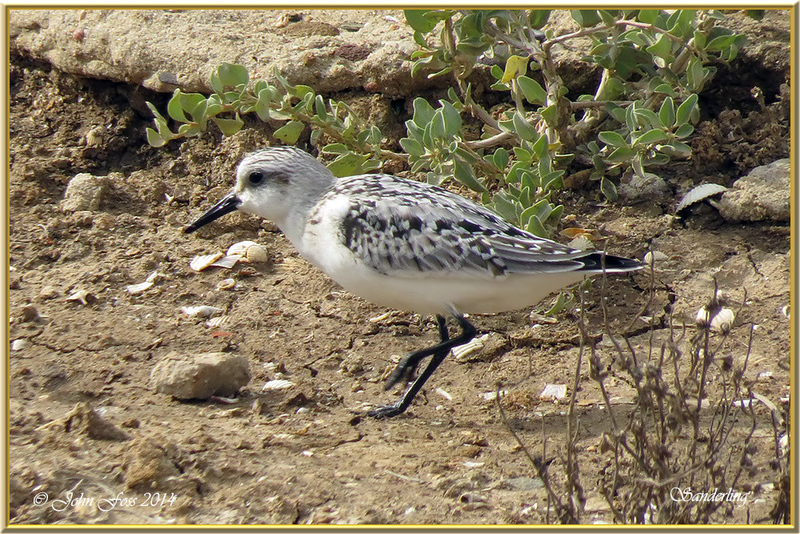 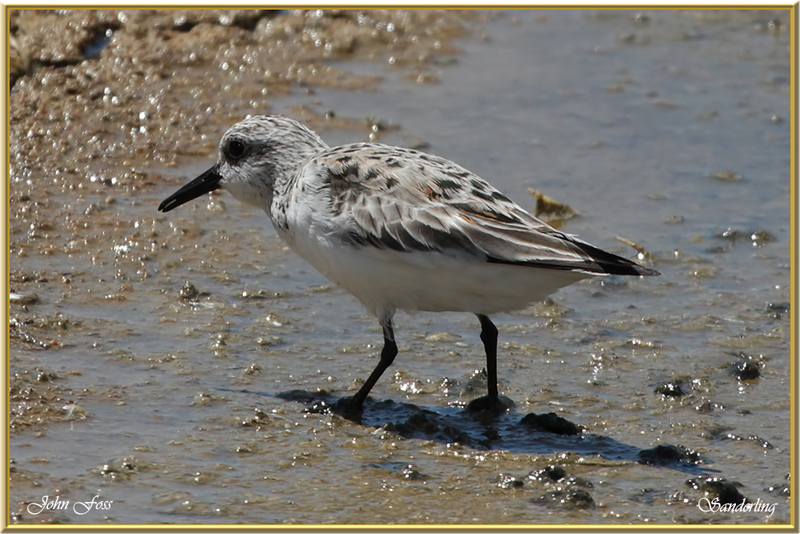 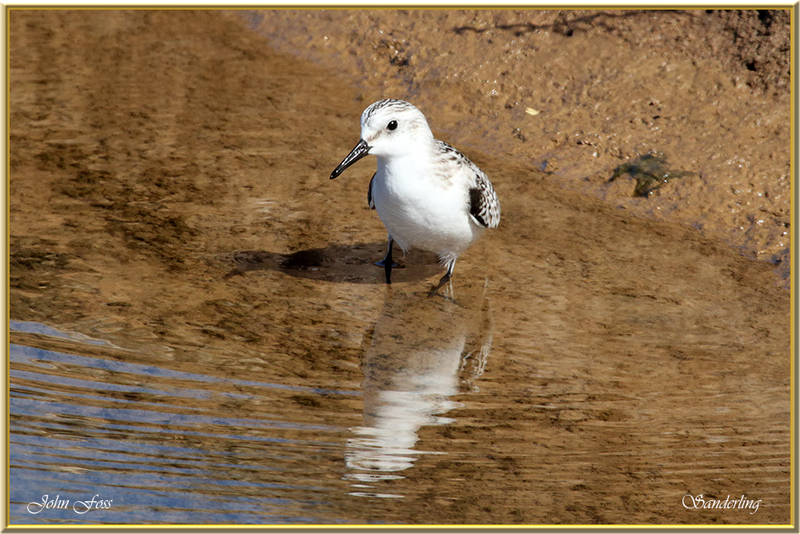 Sanderling - The Sanderling breeds in the High Arctic areas of North America, Europe and Asia. 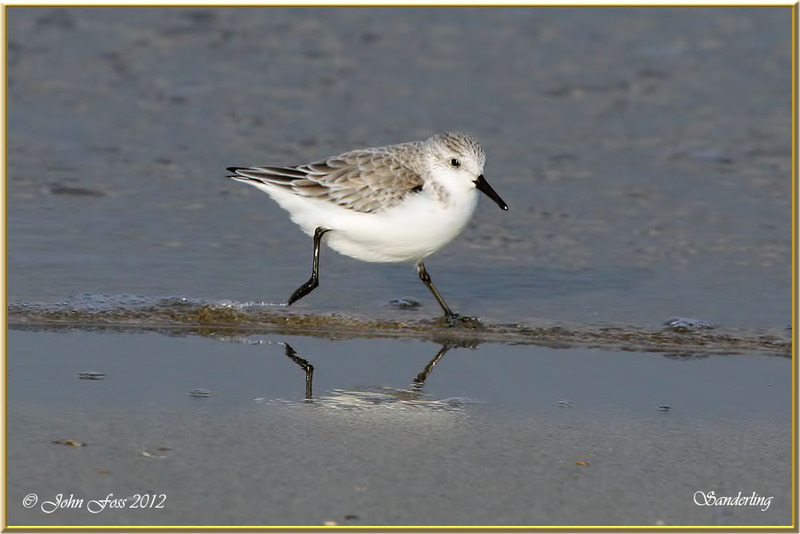 If disturbed it prefers to run along the beach rather than fly. 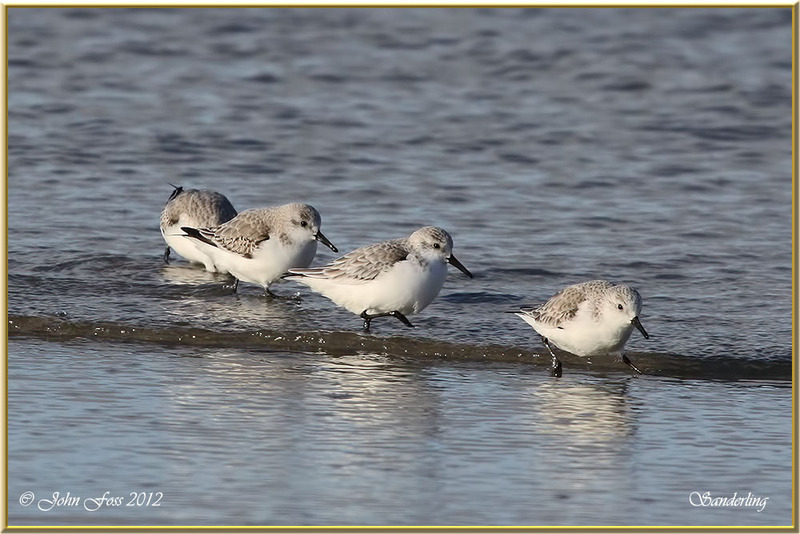 They have a fast cycling motion as they run along the sand. 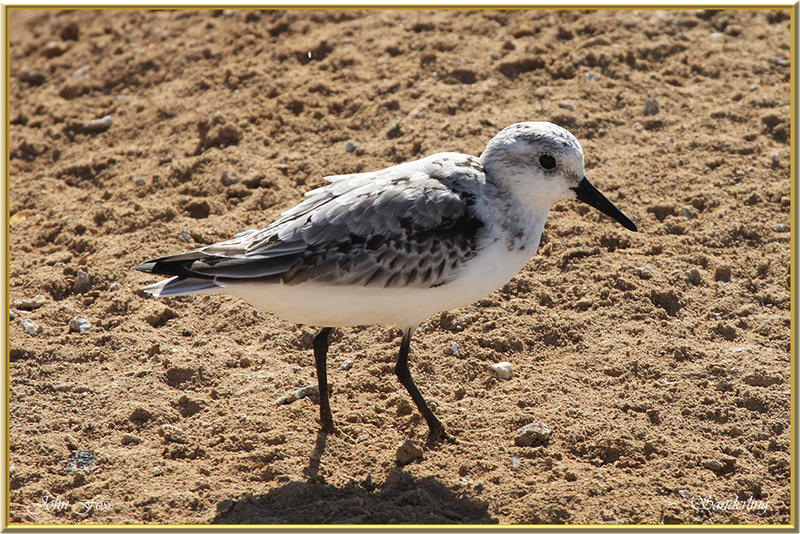 Sometimes in large flocks on sandy beaches. 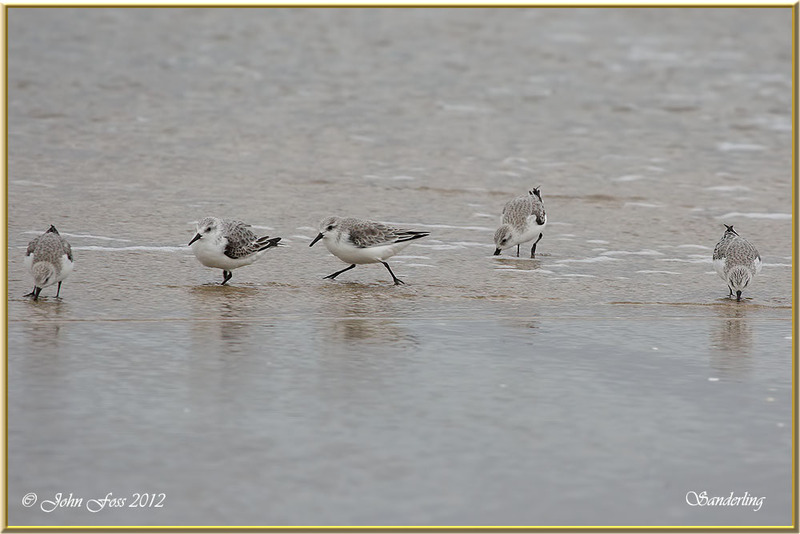 Always seem to be in a hurry in front of breaking waves in the search for food. 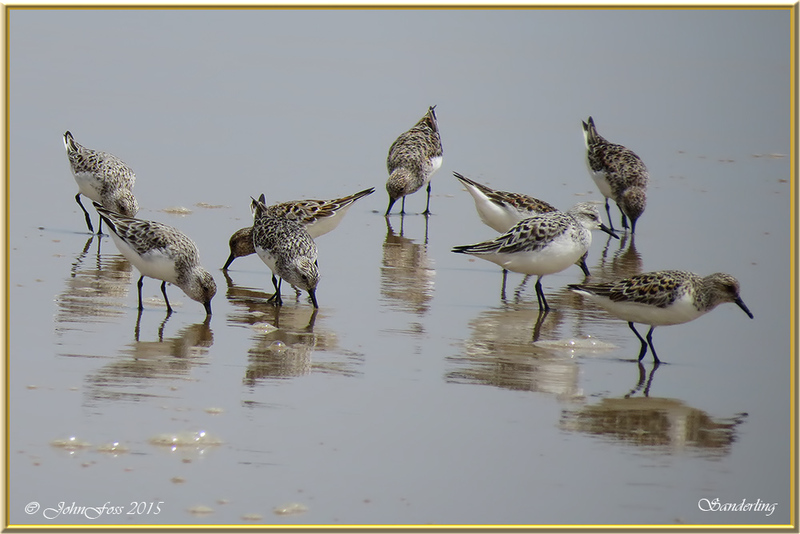 These small waders were photographed at Mullaghmore Co. Sligo and Cabanas De Tavira in Portugal.